Our 2017 Transparency Report Has Landed! We are thrilled to share with you our 2017 Transparency Report. 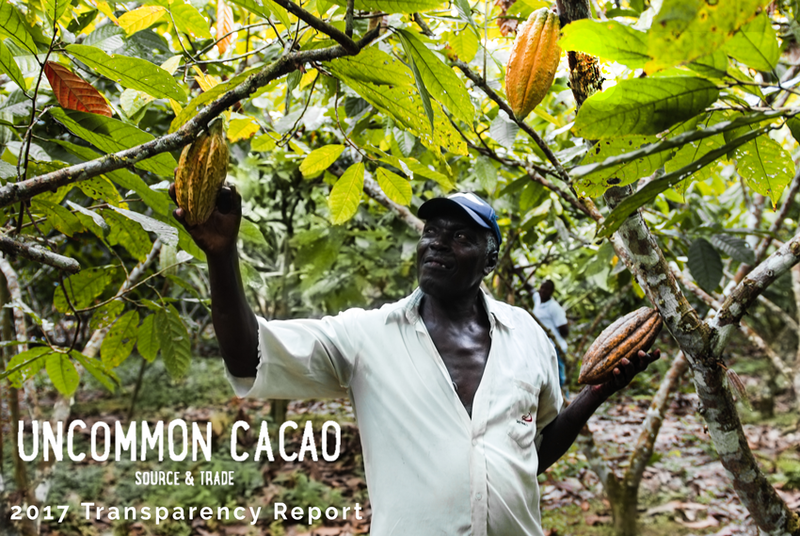 This is our sixth annual report covering Uncommon Cacao’s work across fourteen origins and six countries where we sourced our premium and unique cacaos in 2017. Our farmers at origin, partners, and chocolate makers facilitate our vision for a transparent and sustainable cacao supply chain. With radical transparency as our tool, we are creating new and lasting opportunities for cacao producers. Publishing this annual report is a key part of that process: it demonstrates the continued impact of fair pricing. Together with all of you, we’re creating a revolutionary model that enables farmers to prosper.